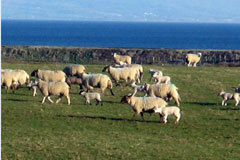 The first Spring lambs arrive this month. Keep a look out for them if you are around the farm! Farmers Union Of Wales farm breakfast week. January 25th – Santes Dwynwen Day, Welsh Patron of Love.